OK, calm down… Allow me to explain. Punk Rock was a largely a reaction to the excessive, overblown rock music of the 70’s. Bands like Yes and Emerson Lake & Palmer, with their orchestrated side-long concept pieces, and the endless improvisational ego trip jamming of bands like Deep Purple and King Crimson. Tales from Topographic Oceans… Need I say more? Actually, Johnny Rotten’s “I Hate Pink Floyd” t-shirt said it all. Punk cleared away everything that came before it and re-set the table with a new aesthetic, new ethos, new rules (or no rules). No matter how you feel about it, it was a fresh start for rock n roll, and a sorely needed one. This new aesthetic crystallized in the form of the 1976 debut album by the Ramones. The Ramones used elements of the music they grew up with as a template, specifically the surf, bubblegum and girl groups of the 50’s and 60’s, and stripped rock music down to its basic elements while adding a primitive, just-the-basics delivery. 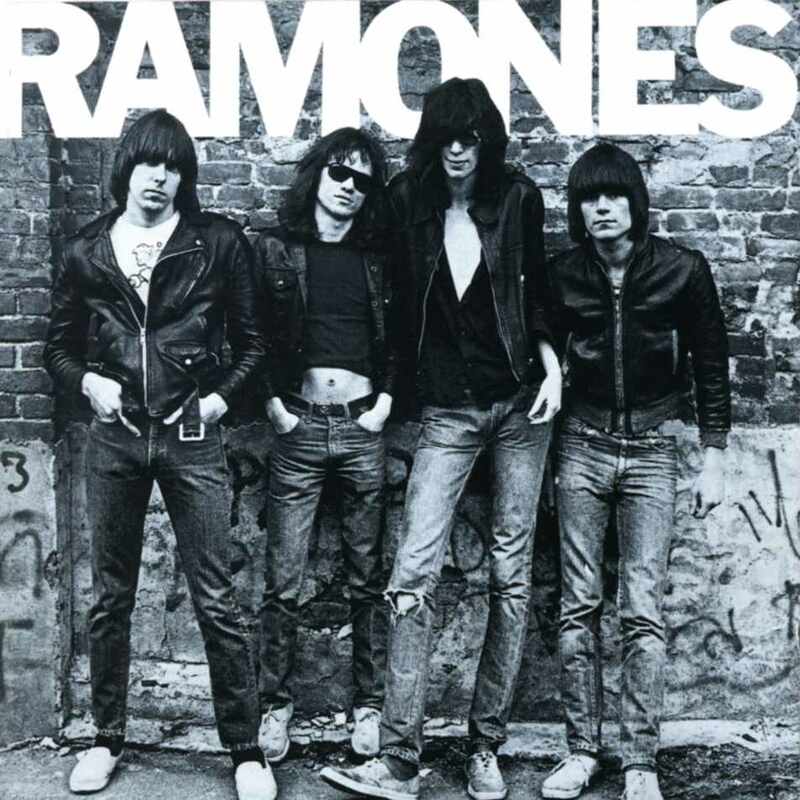 The resulting record, simply titled ‘Ramones’, is a masterpiece of economy and raw intensity. The longest song on the record clocks in at an epic 2:35; the brevity of the songs maximized their impact. There are no guitar solos anywhere to be found, in a deliberate attempt to distance the band from the hard rock guitar wizards of the day. Guitars were placed on the right channel; the bass on the left, adding to the street level, bargain basement vibe. The ‘Ramones’ version of rock and roll was a slap in the face to the mid-70’s status quo; it reminded us all of what was great about rock and roll, and how far away from that it had evolved. Heavy Metal was out of gas toward the end of the 70’s. The punk rock explosion had changed the rules, drastically changed the landscape, and generally shaken things up in a major way for most of the hard rock and heavy metal bands that had dominated the scene in the early 70’s. Most of metal’s standard bearers had either gone the way of the dinosaurs, or drastically lost their way; Led Zeppelin was MIA, Deep Purple had imploded, and Black Sabbath had forgotten how to be Black Sabbath. Once-mighty hard rock bands became… confused, and reacted in interesting ways to being knocked off the throne. Ian Gillan was fronting a jazz-rock combo. Several bands had given in and ‘gone disco’; others tried to maintain credibility by dabbling in the punk ethos themselves (if Queen’s “Sheer Heart Attack” from their 1977 album ‘News of the World’ isn’t a direct response to the Ramones, then I don’t know what is). Lyrically, the impact was also evident, as in Robin Trower’s ‘Victims of the Fury’, or the entire concept of Pink Floyd’s “Animals”, or the title of Rush’s 1977 album, “A Farewell to Kings”. Many young metal fans (like me) were waiting for a new band to emerge and end the meandering experimentation, and re-invent, redefine, re-energize heavy metal music. Blasting out of nowhere in 1978, Van Halen’s debut album did all of that and more. A true wake-up call to the metal faithful, ‘Van Halen’ blew the doors off of the hard rock scene and rewrote the rule book for a new generation of metal bands. 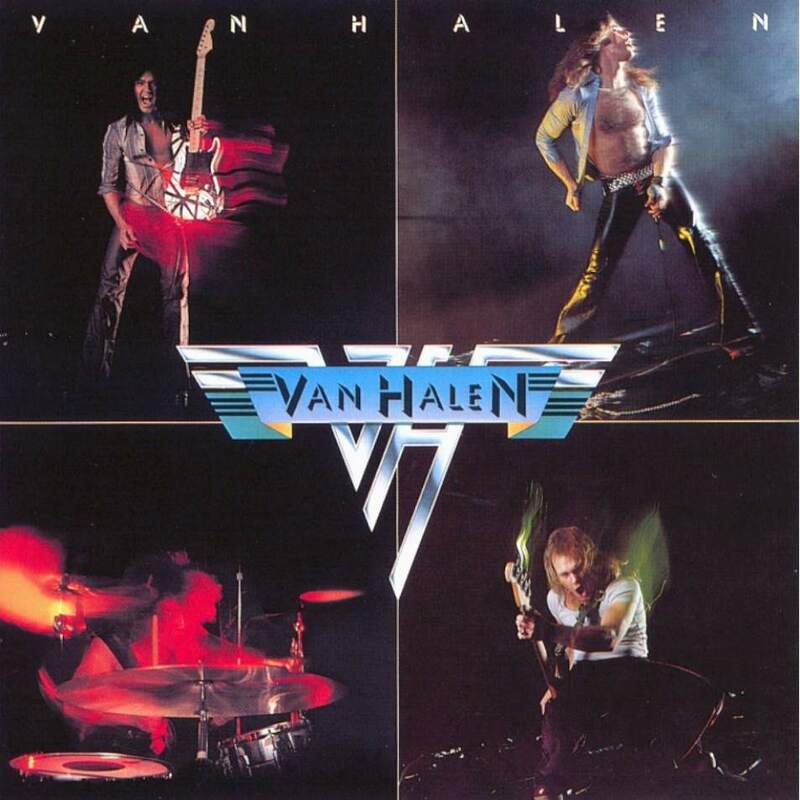 VH took the music they grew up with, mainly early metal, AM top 40, Soul and Funk, placed it all in a hard rock context by playing it with the basic guitar/bass/drums instrumentation, and created a sound and style that changed the course of rock music forever. Oh, and, uh, contrary to the Ramones’ debut, there are a few guitar solos on the VH debut… So yes, musically, the differences between these two records are obvious, but the level of impact and influence they had on their respective genres is equal and enormous. Punk Rock’s seismic shockwave had crossed genre borders and had taken root in the realm of Heavy Metal (or, what Creem Magazine once called ‘Dinosaur Music’ in 1977), where its impact would manifest itself in a young upstart band from California that would itself shake up a complacent and confused Metal Nation. Thus, Van Halen became the Ramones of Heavy Metal. Need I mention Track 2, Side 2?